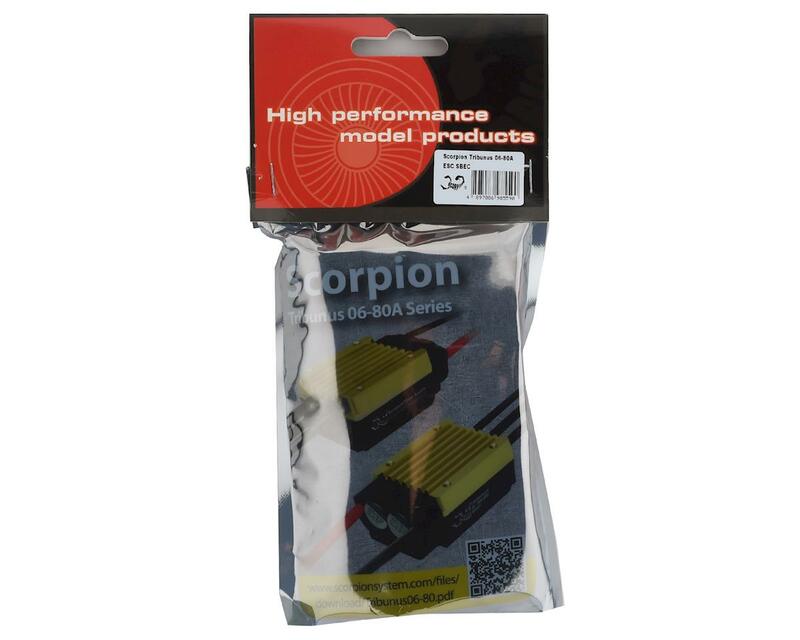 The Scorpion Tribunus line of ESC's from Scorpion are designed to challenge the status quo within the Brushless Speed Controller industry. Utilizing latest generation components internally such as the processor and MOSFET gate drivers the Tribunus ESC offers end users performance, reliability, and incredible features that will be the new "Gold Standard" for many years in the future. The Tribunus ESC supports both Airplane and Helicopter type programming out of the box, and can be conveniently programmed via Windows based PC's, Android devices (via USB OTG Cables), Scorpion V-Link II Cable (Optional) when paired with the included Diode adapter. As technology has improved in current Transmitter offerings, the Tribunus is one of the first ESC's within the Radio Control Helicopter & Airplane market to offer complete ESC Programming via supported Transmitters. As of December 2016, the Mikado VBar Control Radio allows pilots to complete every aspect of ESC set up from start to finish, while being completely disconnected from any computer, tablet, or cellphone. Additional transmitters are currently being evaluated and added to support these features in the future. Helicopter pilots are often extremely reliant on "Soft Start" sequences built into each ESC that supports this feature, and Scorpion has based this demand as a top prioirty during development. 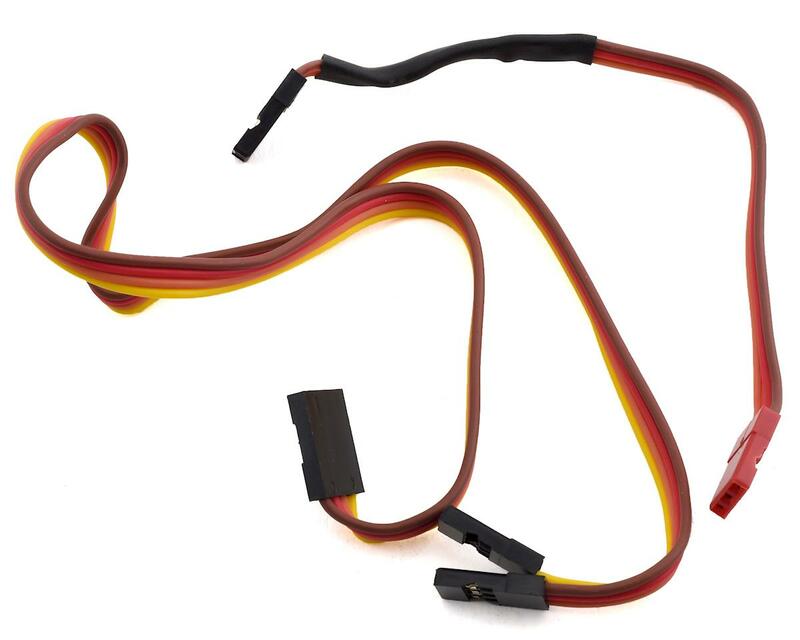 Upon connecting the LiPo to the Trubunus ESC, the ESC will send several pulses to the Motor which allows the ESC to "learn" the exact position of the motor without the use of additional sensor type cables. This technology translates into have one of the smoothest, most consistent, and reliable soft start on the market to date. The feature is not limited to just Scorpion motors, and will work with any brand of motor on the market. From Scale Pilots to 3D pilots, there are settings within the software to meet the needs of each pilot. 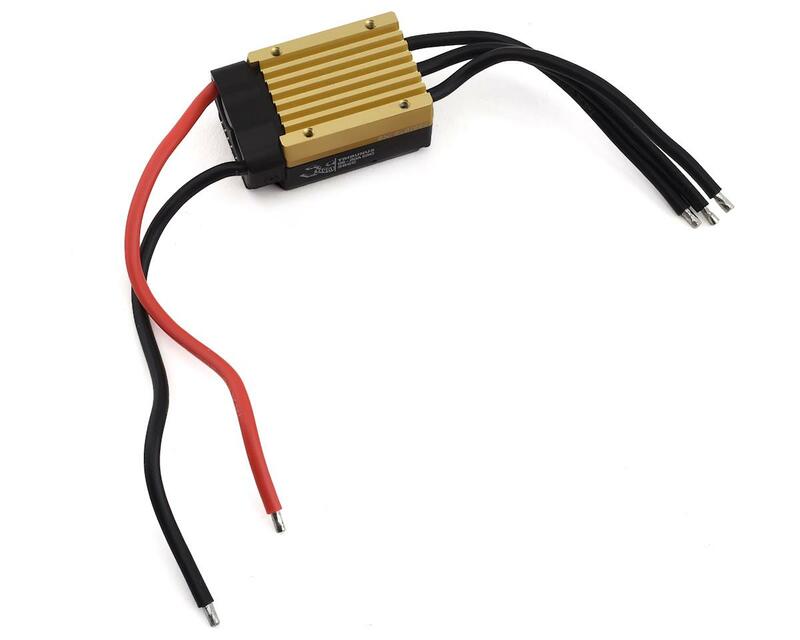 BEC Output voltage: 5.1V to 7.1V adjustable.